From the trailhead proceed SE for about 1.5 miles through a small canyon. The trail will then turn north and climb up onto Line Creek Plateau for another mile. Once on top the trail heads generally NE and follows the spine of the Plateau. There is not much of a trail up there, just follow the plateau and stay near the crest. Do not be fooled by game or stock trails, just follow the Plateau. About halfway along the Plateau you begin to turn to the North and will be heading toward prominent Maurice Mtn. Here the Plateau narrows and a single track becomes visible. The trail drops off the Plateau to the left and you lose elevation quickly. Dropping 3500' in 4 miles! This is an amazing downhill and you may need to stop to rest your braking fingers! Near the bottom you will see the Resort. If you happen to ride on Sunday, take in their Brunch, you will not be disappointed. The views are incredible in every direction on this ride. Weather moves in fast in the summer and lightning is common. Watch the clouds and be prepared to beeline to safety. Review: July, 2017- Just rode the Line Creek Plateau. In great shape but a few full creeks to ford, and if you ride off trail there are a number of snow fields to cross. Trail is still a bit faint and recommend a topo. map or gps to keep you on track if you're not familiar w/ the ride. Rock cairns are limited and the trail could be improved w/ more cairns which would keep riders on course and wear a trail in better. The ride can be done in 3 to 5 hours of steady riding and would recommend good tires, a rain coat, water, food, and good brakes. The down hill is fast and steady w/ the brakes getting a full work out until the end, and unlike the plateau is very well marked and worn in. The views are spectacular and make the ride a great one to do. Review: My 15 year old son and I rode this in July of 2015. 4" travel 29er's worked well. To say the trail is poorly marked is an understatement. Singletrack was not distinct at all. We were literally way finding with topo maps. I would recommend a good GPS with a digital trail file to follow. Very wide open and exposed above tree line. Storms can catch you very quickly. We are both in great shape. The ride wasn't physically demanding, more of a challenge because we were constantly losing the trail and then re-finding the trail to continue. Saw a couple Elk roaming in the valley below us which was really cool. I think the ride took us about 4 hours. Once we got into the downhill section where the trees were, it was easy sailing. The downhill was loose with very tight switchbacks. I'm not sure I will ever ride this trail again. Is it worth doing? Yes. If you have 4-5 hours and are looking for a bit of an adventure ride, go for it. Bring a spare tire or ride tires which can handle sidewall abuse. Similar Trail: None that I can think of. Review: This trail is big on adventure with fantastic views but not so great actual trail quality for mountain biking. It can't be realistically done without a shuttle because of how steep the final section is. I feel like the boy in the story about the Emperor's new clothes writing anything but a five star review. The first two thirds of the trail are well above timberline at almost ten thousand feet with probably a short season due to snow. Like others have said you need to have good navigational skills. I found a GPS to be pretty much a must and I had a good topo map. The trail appears and disappears several times until the big descent at the end. There are a few rock cairns but there need to be more so bikers are not riding willy nilly all over the place trying to find the trail. The trail after the first stretch to Line Lake used by hikers, appears to get very little use so do not count on anyone riding by to save your bacon. There are only a few places where the trail above timberline is very smooth. Much of it has a lot of small rocks some angular where you need to be looking where you are riding to avoid pinch flats. A full suspension bike is highly recommended. There are a number of places where you have to hike a bike because of the rocks, some longer than a hundred yards. The final descent of about three thousand feet in (I am guessing) three miles requires nearly constant heavy braking. Thank god for modern disc brakes. There are numerous tight switchbacks too tight to ride and very numerous angular granite water bars. The water bars are about six inches to a foot high and can be jumped over but if you don't clear them they would very likely cause a pinch flat. To me a "flowy" tail is not one where you ride your brakes hard the whole time and have to dismount for switchbacks. On the way over from Bend to Red Lodge for a family reunion I rode the Fischer Creek loop south of Stanley which is supposed to be one of the premier rides in Idaho. That trail qualifies as flowy like many trails in Bend but Line Creek does not IMHO. All in all would give the trail five stars plus for scenery and remoteness but three stars or less for the trail quality for mountain biking. This trail was not designed by bikers for bikers. It just happens to be mostly rideable. Review: This trail is an adventure...pure and simple. Start early, take lots of water. Top Map and compass/GPS strongly recommended. 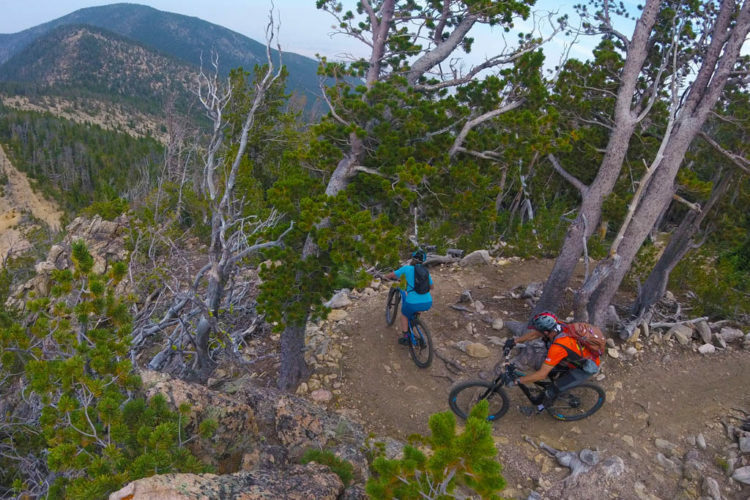 This trail has miles of bushwhacking across the Beartooth plateau followed by 5 miles of incredible downhill. The is not a ride for the casual MTBer. Review: Overall an amazing adventure ride. We might have been the first ones to ride it this season (june 26). Like others said, the trails is faint/non-existent in most places (with the exception of the flowy downhill single track that finishes off the last 5 miles). I would highly recommend GPS. The trail was even marked on the "ViewRanger" GPS App I use. Definitely heed to warnings about thunder storms. We had one barely miss us about halfway in that could have quickly turned the ride into a survival situation. (still got hit with 60 mph winds and hail). Also at the time of riding, there were several snow and knee deep creek crossings. All these factors just add to the fun, make sure you're prepared for the worse, stay safe and have fun! Review: I loved this trail, yes it needed some navigating but if you follow what everyone says and that is stay on the plateau until you get to the end it will work out great. Now on that note it is a bit confusing nearing the 8-9 mile mark weather you should take the right or left portion of the plateau but the answer is stay to the right. As the trees and rocks get a bit thicker just keep going and you will start to see some more carins. There are not many markers along the way but just stay to the right and you will hit the markers and then wait for an awesome downhill. Overall me and my buddy loved it. Oh and duel suspension on the top makes it much more comfortable. 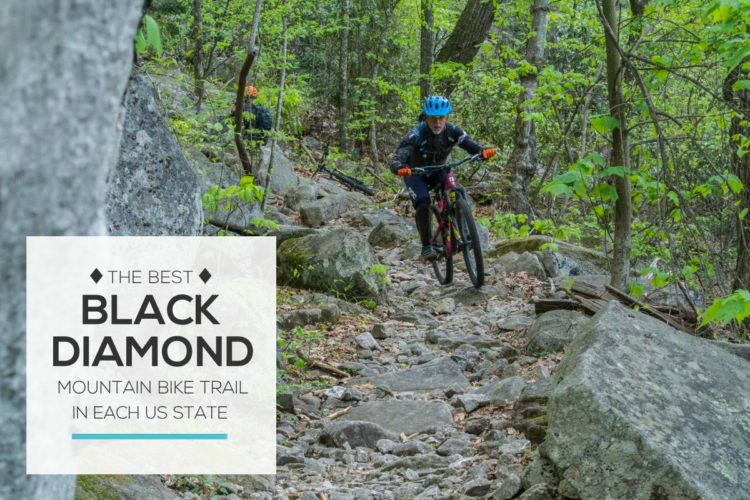 Review: Anyone thinking about doing this trail without some sort of guide is just asking to get into some serious trouble. Make sure you get up there and start early in the day or else there is a strong chance of you getting stuck in a storm. This is real wilderness and should be highly respected. Make sure to have your pack up to date with emergency gear just in case. You're a long ways away from help up here and the weather can change extremely quickly. Take it from someone who spent the night out there because of no guide or proper gear. You can die out here. Be extra safe and go with someone experienced and this will probably be one of the most memorable trails you will ever ride. Review: Totally agree with skibum. The views of both the Rock Creek and Clark's Fork Valley are killer. Good to get GPS coordinates prior, as trail does disappear at times. Stay on the spine and head north until you see the 6' carin at the last stand of trees. Downhill is amazing. Tundra can be wet in early spring, otherwise, not much water along trail. Similar Trail: Morrison Jeep Trail -- much more technical, but killer views. Shuttle required unless you do an in-out to summit only. Review: This is an absolutely top shelf trail trail in many ways. Scenery 5 stars Solitude 5 stars Downhill 5 stars Adventure level 5 stars. The initial plummet is great, then you have to regain the ridge on the other side of the drainage. 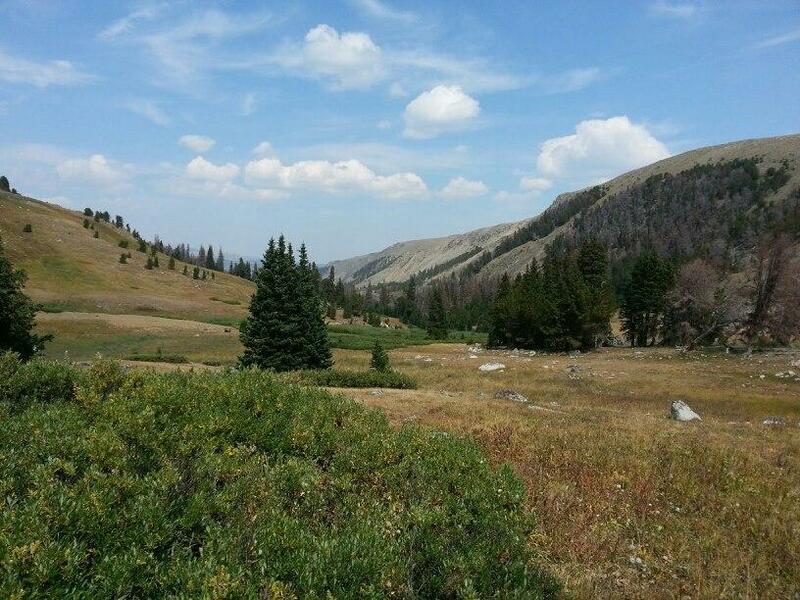 After the stiff climb, you spend about 8 miles crossing high alpine tundra with aw-dropping views in every direction. The trail frequently disappears and sometimes there's no cairns. Just stay on top of the plateau (there's big drops on both sides) until you reach the end of it and look for some really big cairns in the last stand of trees and then buckle up for a screaming good downhill-you drop the last 3,200 feet in under 5 miles. There's a lot of switchbacks, some very tight, but most of the trail has great flow and your brakes will get a major workout. This is a big adventure ride. It's certainly not a double diamond either physically or techncially, but the frequent route finding makes this one for confident riders only. You should have a map and know how to read it. It's also best to start early as the weather can change fast and afternoon thunderstorms are common. Make sure your bike, especially the brakes, is in good condition. Don't be fooled by the relative lack of elevation change for the first 10 miles--the combination of altitude, many short climbs, and squishy tundra (when the trail disappears) will take it's toll. Keeping all that in mind, this is an A+ ride--highly recommended! Line Creek Plateau MTB Trail 4.60 out of 5 based on 10 ratings. 10 user reviews.